An “immersive, humanizing, and demystifying” (Charles Blow, New York Times) look at the final hours of Dr. King’s life as he seeks to revive the non-violent civil rights movement and push to end poverty in America. At 10:33 a.m. on April 3, 1968, Dr. Martin Luther King, Jr., landed in Memphis on a flight from Atlanta. A march that he had led in Memphis six days earlier to support striking garbage workers had turned into a riot, and King was returning to prove that he could lead a violence-free protest. King’s reputation as a credible, non-violent leader of the civil rights movement was in jeopardy just as he was launching the Poor Peoples Campaign. He was calling for massive civil disobedience in the nation’s capital to pressure lawmakers to enact sweeping anti-poverty legislation. But King didn’t live long enough to lead the protest. He was fatally shot at 6:01 p.m. on April 4 in Memphis. 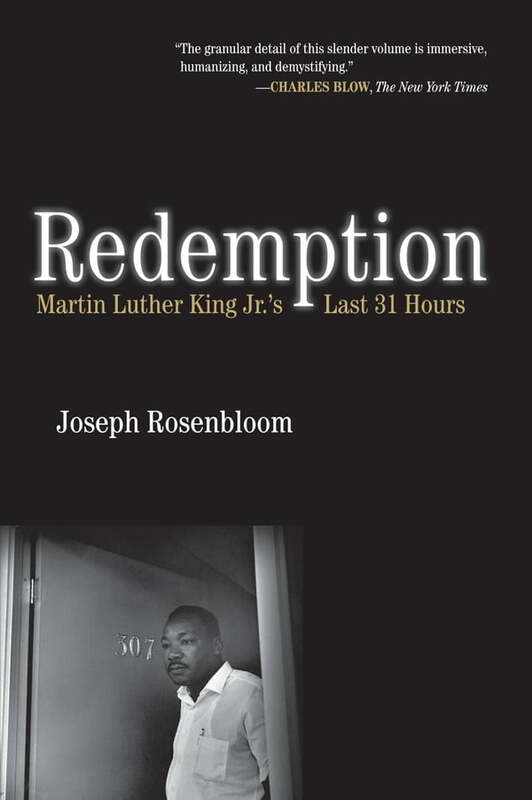 Redemption is an intimate look at the last thirty-one hours and twenty-eight minutes of King’s life. King was exhausted from a brutal speaking schedule. He was being denounced in the press and by political leaders as an agent of violence. He was facing dissent even within the civil rights movement and among his own staff at the Southern Christian Leadership Conference. In Memphis, a federal court injunction was barring him from marching. As threats against King mounted, he feared an imminent, violent death. The risks were enormous, the pressure intense. On the stormy night of April 3, King gathered the strength to speak at a rally on behalf of sanitation workers. The “Mountaintop Speech,” an eloquent and passionate appeal for workers’ rights and economic justice, exhibited his oratorical mastery at its finest. Redemption draws on dozens of interviews by the author with people who were immersed in the Memphis events, features recently released documents from Atlanta archives, and includes compelling photos. The fresh material reveals untold facets of the story including a never-before-reported lapse by the Memphis Police Department to provide security for King. It unveils financial and logistical dilemmas, and recounts the emotional and marital pressures that were bedeviling King. Also revealed is what his assassin, James Earl Ray, was doing in Memphis during the same time and how a series of extraordinary breaks enabled Ray to construct a sniper’s nest and shoot King. Original and riveting, Redemption relives the drama of King’s final hours.